Do you have an option to utilize an online classroom shell? 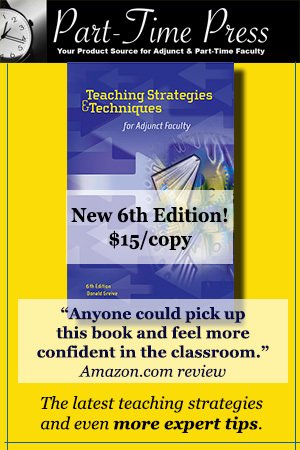 Many institutions are offering adjunct instructors an ability to implement this feature. 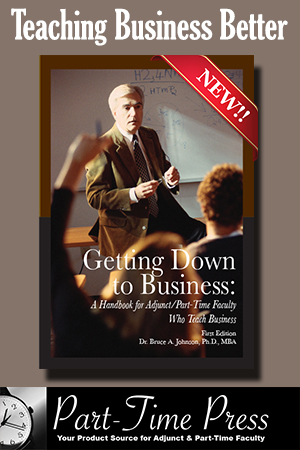 Some adjuncts believe that it is an effective method of supplementing their traditional classroom and others find that it is either too time consuming or ineffective for the subject matter they teach. If there is an online classroom option available have you considered utilizing it and how it could facilitate the process of learning? What is your perception about the ability of your students to participate in these online activities or their willingness to do so, especially if they have never utilized an online platform? Another consideration is the time involved for setting up an online course shell. This means allocating time for the initial development of the class, which includes learning the features and navigational tools that are available. The benefit of investing time into this process and encouraging your students to also be involved is that it can increase student engagement in the class, promote collaboration, and help to develop a sense of community. This is beneficial for adjuncts who are only on campus for a limited amount of time, especially when classes meet only once a week. For many adjuncts it is possible that there will be a learning curve involved when first working with an empty online course shell. Your students may also have a learning curve to if they have not worked in an online environment. The most common platforms utilized include Blackboard, eCollege, and Moodle. You will find that there are resources available to learn about these features and include videos that are available on YouTube. Many of these videos help walk you through the process of setting up basic features, step-by-step. At a very minimum you can include a forum to post news items and updates, a thread for questions, a forum for supplemental resources, and a forum for discussion question threads. What this does is allow students to be in contact with you and other students throughout the week and it also allows you to provide additional handouts, website links, important updates, videos that address the course topics, and any additional materials you find helpful. While you may have points allocated for discussions during the class sessions you can also extend that to online discussions. 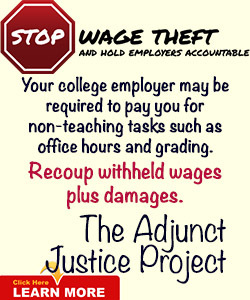 Some adjuncts utilize these discussions as extra credit, which further provides an incentive for students to be involved. The addition of an online class to a traditional classroom format creates a hybrid instructional approach. It extends your accessibility and turns weekly class sessions into a week-long continuous learning process. It is not uncommon to find that students in a traditional classroom setting may wait to study or complete their assignments until it is close to the next class session or assignment due date. When you ask students to be involved in an online class throughout the week you are also encouraging them to continue working through course concepts and information they have received during this time. For students who are new to the online environment, or resistant to the process of online learning, you may need to offer some incentives initially for them to participate. Because many students are used to being involved in online social networking communities they may not find it too difficult to use, provided that there are meaningful learning activities and a reason to participate. If you determine that a hybrid approach to your classroom facilitation would be beneficial, based upon the structure of your class and the subject matter taught, it would be helpful to introduce students to the online class during one of your class meetings so that you can explain the important features and benefits. If you have interactive presentation tools available you can demonstrate the important features and walk students through the navigational process during your class lecture so that you can answer questions and address concerns. 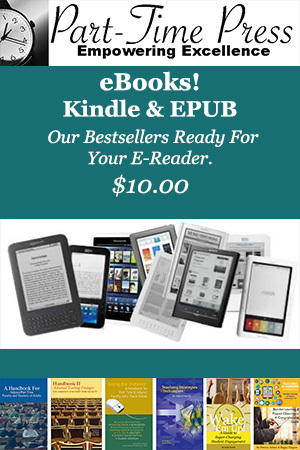 You can also explain the purpose of this online class addition as a means of encouraging their buy-in. To keep students involved and checking in on a regular basis it would be helpful to post additional resources and frequent updates throughout the week. By implementing a hybrid approach to classroom learning you are providing another way for students to connect with the class and other students, as a means of processing information, gaining new insights and perspectives, and encouraging all students to be involved in the class. An online class should never consist of busywork for students as they will quickly lose interest if they find there is little value in their participation with it. While there will be time involved to set it up, the end result is likely to increase interactions and engagement, which provides additional support for your students’ academic development and involvement in the process of learning.